Aaron and Melissa Troxell of Edmond, Okla., and Rod and Kay Huxman of Moundridge announce the engagement of their children, Kaleigh Troxell and Kyle Huxman. Maternal grandparents are Mike and Margaret Hazelip and Jack and Malinda Troxell, both of Owasso, Okla.
Paternal grandparents are H.R. and Geneva Siefker, McPherson, and Melvin and Wanetta Huxman, Moundridge. The bride-elect is a 2013 graduate of Edmond (Okla.) Memorial High School and a 2017 graduate of Tabor College with bachelor’s degrees in mathematics and secondary education. She be teach and coach at McPherson Middle School beginning in fall. The groom-elect is a 2014 graduate of Moundridge High school and plans to graduate from Tabor in 2018 with bachelor’s degrees in secondary education and business administration. 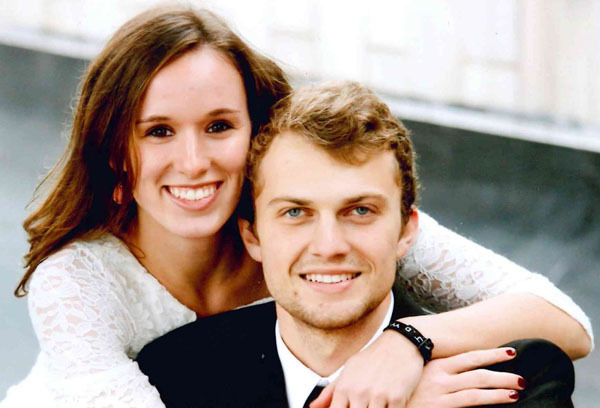 The couple plans to be married July 22 at Central Community Church in Wichita.